Top 5 Advantages Of Interactive Voice Response(IVR) For Your Call Center In 2018. Home Top 5 Advantages Of Interactive Voice Response(IVR) For Your Call Center In 2018. Interactive Voice Response(IVR), is a type of call center software that basically computerizes communications with client calls. It is used to create pre-recorded sounds which help customers in getting the right procedure to attend the appropriate agent. Interactive voice response is mostly used in call centers, banking sectors, and many private organizations. It can be otherwise called as most affordable robots in common languages. There are some misconceptions about this technology like it is an auto attendant etc. Actually, the core idea behind this technology is to take the input from the customer and process immediate output. In this article, we will discuss top 5 advantages of interactive voice response system for your call center in 2018. Here is the list of top 5 advantages of IVR, check it below! 1. It increases call capacity. If you are a start-up call center, you can use Interactive Voice Response or IVR to direct callers to your agents. This technology can help your call center to increase its call capacity especially inbound calls. When customers will listen to the pre-recorded instructions, they can easily select the right department to solve their problems or give them the right information’s. In another way, I can say, IVR system can build a solid trust-bridge among customers and call centers. This will automatically bring more traffic to your call center. IVR technology can help your call center in saving the answering talk time of your clients. Well, it is a good thing for a newly created call center which entirely provides solutions to clients. Frontend IVR technology can be used to direct customers as they wish which means if they want to talk with the R&D department, it instantly redirects them to the right agent in this department. It reduces the answering talk time of your agents as they only answer on the topic that they are experienced in. IVR system does not require any extra hardware installation and can easily be set up on your existing computer. If you are a start-up call center, you may like this characteristic of IVR system which eliminates your additional cost. There can be more examples like if you have a few agents in your small inbound call center, you can easily set up the IVR to redirect calls as you want. This will lessen the work burden and save the extra cost of your call center. 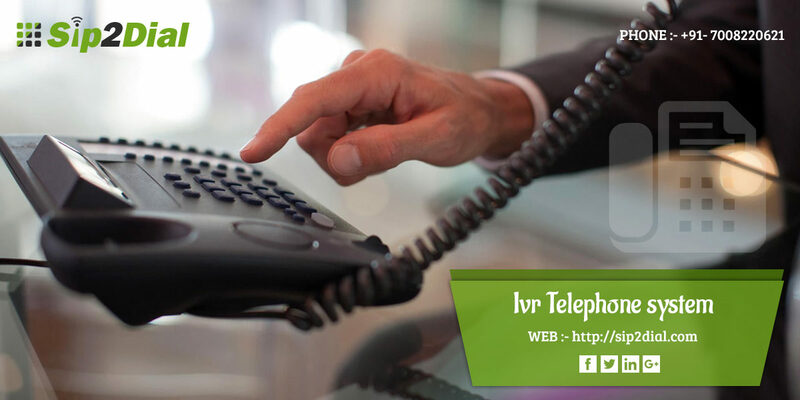 IVR technology is highly customizable as per the needs of various businesses. It generally uses pre-recorded voice to guide customers to get redirected to the right agent in call centers. If a bookstore wants to sell its books, it can customize the IVR as per its needs so as a computer selling the shop. If your target audience is Japanese, then you can customize the IVR to speak in the Japanese language. It can be called the most inexpensive robot or the primary stage of artificial intelligence. In this article, we tried to bring you the top 5 advantages of IVR system for your call center in 2018. We know there can be more advantages but we only wanted to point out the major advantages of IVR. If you like this article or you find it informative; you can visit our IVR Product Page for more information about IVR. Next Next post: Why Cloud Call Center Software Should Be Used In The Defense Sector.